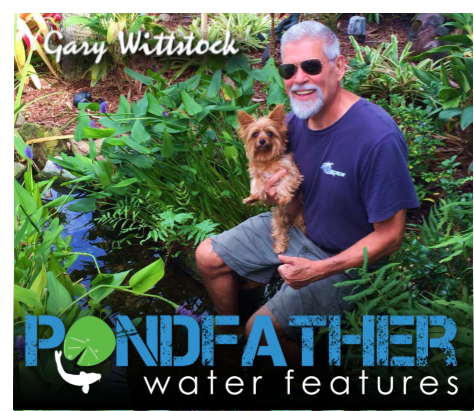 If you're looking for help with your Space Coast area pond, water feature maintenance or repair, you're in the right spot. Pondfather Water Features is a Qualified Aquascape Contractor and has the experience needed to help you with whatever maintenance or services needed to keep your water feature running, and looking it's best all season. Pondfather Water Features can help you realize that potential, offering premium maintenance services ranging from cleaning and repairing ecosystem ponds and waterfalls, to fountain pump replacements. We know the importance of adding more time to your life for your inviting yard for entertaining, playtime and relaxation. We hope you’ll give us the opportunity to work with you to develop your water features maintenance programs so it further reflects how beautiful your water feature really is. Do you want a completely maintenance free pond? Do you worry about your fish? Would you find peace of mind knowing that your pond maintenance was taken care of by a team of trained professional technicians for your Brevard County Florida (FL area backyard fish pond? Pondfather offers years of koi and fish pond maintenance and other water feature maintenance. Our professional technicians are trained to do all the work, so you can sit back, relax and enjoy! You can rest assured our trained technicians are skilled in caring for your pond so you can enjoy its fullest potential.